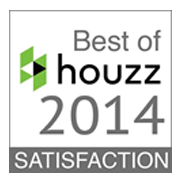 Austin, Texas, March 11, 2015 – RiverCity Cabinets of Austin, Texas has been awarded “Best Of Houzz” for Customer Satisfaction by Houzz, the leading platform for home remodeling and design. 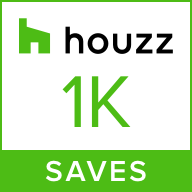 The Austin based, custom designer cabinet company was chosen by the more than 25 million monthly unique users that comprise the Houzz community from among more than 500,000 active home building, remodeling and design industry professionals. Follow RiverCity Cabinets on Houzz. RiverCity Cabinets’ goal is to be recognized as Austin’s premier provider of fine quality cabinetry, working with the most prestigious builders, architects, designers, and above all, homeowners. Duane Eller & Randy Hardin, owners of RiverCity Cabinets, Inc., have assembled a team of highly skilled professionals – CAD Engineers, on-staff Designers, Project Managers, and highly skilled Craftsmen – all devoted to the highest standards of excellence in design, quality, and service. Working together since 1992, Duane & Randy decided to embark on their own in October 2005, creating RiverCity Cabinets. In doing so, this enabled them to create new standards of excellence in design, quality & service not seen before in Austin, Texas. RiverCity Cabinets is proud to have worked with Austin’s most prestigious custom homebuilders, interior designers, and architects, who have extremely high expectations of quality & service. These long lasting relationships have allowed them to provide homeowners with peace of mind while also adhering to their budgets and construction schedules. For more information or to view the RiverCity Cabinets project gallery, visit www.rivercitycabinets.com. For inquiries or photos, please call Jennifer Leaver at 512.410.7971 or email jleaver@provamedia.com. Owner Randy Hardin is available for further installation or product advice or for an interview.